Offered exclusively in the summer months, Chalet Jean (3 bedrooms) is a spacious, recently built, self-catered chalet in the charming village of Les Houches and is ideal for a one or two families who want a to experience a luxury holiday rental set in the Chamonix valley. The chalet has 3 bedrooms - two double bedrooms and one twin bedroom, all with ensuite bathrooms - and sleeps 6-8 people with the use of 2 additional single beds in the playroom. With its glorious, panoramic views over the surrounding mountains, it is the perfect place for family and friends to come together to experience the wonders of Chamonix. La Prarion lift in Les Houches, just minutes away, provides access to hiking and mountain biking in the summer. Chalet Jean (3 bedrooms) boasts a lovely living room with open log fire, and large terrace with hot tub, plus a spacious games room with table tennis table, TV, Playstation and other games. The chalet in fact has 6 bedrooms in total, but the other rooms will remained closed during your stay to reduce the rental price of Chalet Jean (3 bedrooms) and therefore to make it more appealing in summer for 1-2 families who want to experience a luxury holiday rental but don't need the extra space. Chalet Jean is located in an elevated position within a couple of minutes of the Prarion lift station in Les Houches and with stunning panoramic views. It's a beautiful quiet environment for a luxury holiday rental, but only 15 minutes drive from the buzz of Chamonix. The nearest supermarkets in the centre of Les Houches are only 5 minutes' drive away, while the closest bars and restaurants are accessible on foot around 10-15 minutes away. Prarion cable car gives access to the area of Les Houches where you can enjoy walks, hikes and mountain biking, and from the bottom of the lift, local buses give easy access to the rest of the valley to make the most of your Chamonix summer holiday. Bikes can be stored in the porch area of the chalet. These are provided for your use, stacked outside the chalet, although if they run out you may need to buy your own from the nearest supermarket. Please remember to bring your own towels to use in the hot tub (bath and hand towels are provided for use inside the chalet). 1 playroom with large box of toys and games, table tennis table, TV, and Playstation. Also two additional single beds if required, sharing the Jack-and-Jill bathroom. Thank you for staying with us and leaving such a nice review we are very pleased to see that you enjoyed the chalets and what it has to offer as well as the amazing weather we have had, it was a pleasure to meet you and we hope to see you again in the future! Really comfortable chalet with fantastic view. Three floors, good kitchen and well equipped holiday home. Thank you for your great review of Chalet Jean. We are pleased that the chalet was a comfortable base for your trip and hope to see you again soon. We stayed for a week at the end of July 2016. As we were a family of 4 we hired as a 3 bedroom version which is a great idea as the rooms on the bottom floor can all be locked out of use.Location - the location was fantastic, a 5 min drive from the centre of Les Houches which is a lovely little quiet town. The chalet is a 10 min walk to the Prarion lift. The view from the chalet are wonderful, snow capped mountains in virtually every direction. It is down a private road and is a very quiet area.Chalet - the lounge is huge and is very cosy. The bedrooms are fairly small but are fine. The top floor has 2 double bedrooms, a toilet, a showe and a bathroom. It's a little strange in that one bedroom has a large ensuite but it has a bath with no shower meaning the 4 of us were sharing 1 tiny shower. The chalet has a large play room. However, although this was advertised when we booked it was locked out of action which is not right. Our booking agent (Chamonix All Year) did however open it up although the table tennis bats were broken. There were no toilet rolls when we arrived and we had about 24 inches of wardrobe handing space for 4 people for a week as all the other were locked. Also, loads of light bulbs were not working which was mentioned to our agent on arrival but nothing was changed during our stay. The cushions for the outside chairs were dumped against the kitchen cupboards. There were no clothes for washing up....a small welcome pack would be usefulThese are all small things but should be addressed are probably more the issue of Chamonix All Year to correct and are not issues with the property itself.I'd highly recommend this chalet, we had an amazing week. Get these small things right and it would be 5 star. Thank you for your detailed review of your stay in Chalet Jean (3 bedrooms). We are very pleased that you liked the chalet and enjoyed your stay. We're very sorry that there were a few niggles during your stay - we do usually provide toilet roll and washing up sponge etc. on arrival to get our guests started so we apologise that these were missed for your arrival. We're glad that we could come and drop off the toilet roll for you and open up the doors as requested on the day you arrived to set you up and provide access to additional hanging space too, and we do apologise for the light bulbs which seem to have slipped through the net. Thank you for the feedback - we will take it on board to ensure that the same issues don't happen for future guests. We hope to see you back again soon in Chamonix. Update February 2017: the bedroom without hanging space now has a chest of drawers for storage. We, a dutch family 2 adults en three kids (14-16-17) spent a very nice week in this Chalet begin of august 2016. The Chalet is really comfortable and luxury, the environment is impressive with a fantastic view on the Mont Blanc summit. We missed some outdoor equipment like a BBQ and sunshade parasols but enjoyed the outdoor jacuzzi very much. Planning to come back during winter, for a ski holiday! Thank you for your lovely review of Chalet Jean (3 bedrooms) - we are very happy to hear that you enjoyed your family stay this summer. We'll bear in mind your suggestions for the outdoor equipment in case the owner is thinking of making any more changes. We'll be in touch again soon about your ski holiday - looking forward to seeing you again soon! Update February 2017: the owner will shortly be adding a BBQ for guests to enjoy outside. Thank you for your review. We are pleased that you enjoyed the chalet and the spectacular elevated position and views. We are very sorry to hear that the chalet was not up to our usual cleaning standards, this is of course unacceptable and if we had known during your stay we would have been happy to send someone to rectify this. We would like to reassure future guests that the chalet is regularly deep cleaned and this is an unusual occurrence; we have also rehung the curtains since your stay. We hope that we will see you again to give you the true Chamonix All Year experience. The breath-taking view was our primary consideration for choosing this property and it did not disappoint. We loved the views and the privacy the property offers. Our friends who have seen the photos love the place too and have signified interest in booking the property in the future. We have gladly provided them the relevant contact details of Chamonix All Year (CAY).One of the factors which made all the difference to us in this booking is the responsiveness of CAY from the booking process all the way to the check out procedure. We especially appreciated this after an unlawfully cancelled booking by owner of a purported Madeleine luxury apartment in Paris (see link for your protection: https://www.tripadvisor.com/VacationRentalReview-g187147-d7266405-Luxury_Apartment_at_La_Madeleine_with_nice_Terrace-Paris_Ile_de_France.html) which we made through Trip Advisor and for which no one from the company nor the property owner was able to help us.With this booking with CAY, we never felt abandoned anytime during our stay. The instructions were clear and the relevant contact details (telephone nos., email) were made available to us. 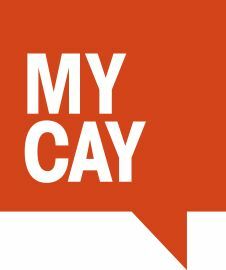 It seems that all CAY representatives we communicated with through email or otherwise speak good English such that language was never a problem. A representative from CAY arrived the day following our late check-in to welcome us and ensure that everything was okay.If there was anything I think they can improve, it is the preparation of the property (living room and bedrooms) to make them more similar to the pictures posted in the website and look less hurried. For instance, simple things like the bed linens could have been made better (and more hotel-like) and the coffee table in the living room being placed in the middle or as displayed in the website rather than just placed right beside the long couch. But this observation is very small and did not really make our stay any less comfortable. It is just a suggestion to give the property a more wow effect when the guests first see it. Thank you for your lovely review of Chalet Jean and of our team here at Chamonix All Year. We are delighted to hear that you felt well-looked after and that the chalet lived up to your expectations. Thank you for your suggestions too which we have passed on to the property management team. We do use hotel-standard Egyptian linen but will be sure to double check our stock and remove any items which might be 'tired'. We do hope to see your friends soon in Chalet Jean, and perhaps yourselves back again too in the near future! Absolutely loved the stay at Chalet Jean.The chalet itself is gorgeous and very comfortable I would highly recommend anybody to stay there.It's very close to the Prarion Gondola, less than a 5 minute drive but it would be recommended to hire a care as with ski equipment it would be a little far to walk.The facilities were incredible and sitting in the hot tub after a day on the pistes was the best. Thank your for your great review of Chalet Jean (3 bedrooms). We are delighted to hear how much you enjoyed your stay and hope to see you back again in the future.